St. Paul neighborhoods are represented by many types of homes. Some are historic mansions on the bluffs and many more are homes like yours and mine. One thing they all have in common is an owner who would want a dry basement. Our basements are an important part of living space. It is often where the children’s sleeping quarters and play areas are located, where the “man cave” and pool table are. It is where we go to do the laundry and store ALL those boxes of important belongings that should not get wet. Unfortunately, this is not the way it is. 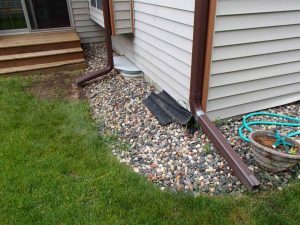 For many of us find wet carpet and a musty smell downstairs after each spring flooding when the snow melts or after every rainfall in the summer months. That musty smell is mold growing, probably in the flooring or in soaked insulation, deep in the wall cavities. 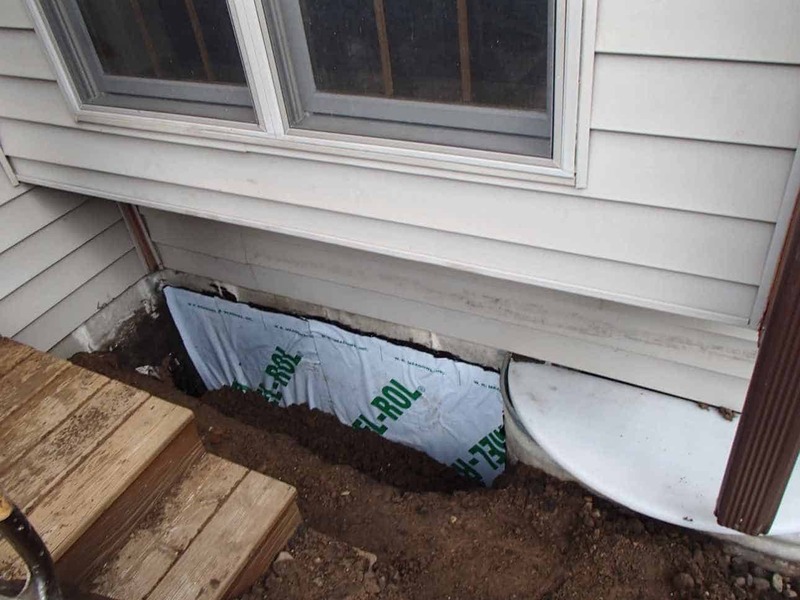 This can be very a dangerous situation if moisture continues to enter your home every the time rain falls. Each year thousands of families are affected by toxic molds that can grow on the carpet, sheetrock, wooden wall framing and many other surfaces. Some of the menacing molds are known as “black” mold that can cause some very serious health concerns. Respiratory problems such as chronic sneezing, fatigue, coughing and persistent headaches can be a sign you need professional help. Fortunately, there is a local company to help. 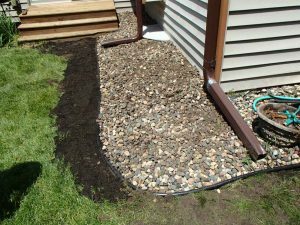 AAA Reick’s Landscaping and Waterproofing has over 30 years of professional service. They help homeowners understand why their house has a wet basement and what they can do to stop it by working outside the home at the point of entry, stopping the water BEFORE it enters your basement. No need to tear up the basement floor! 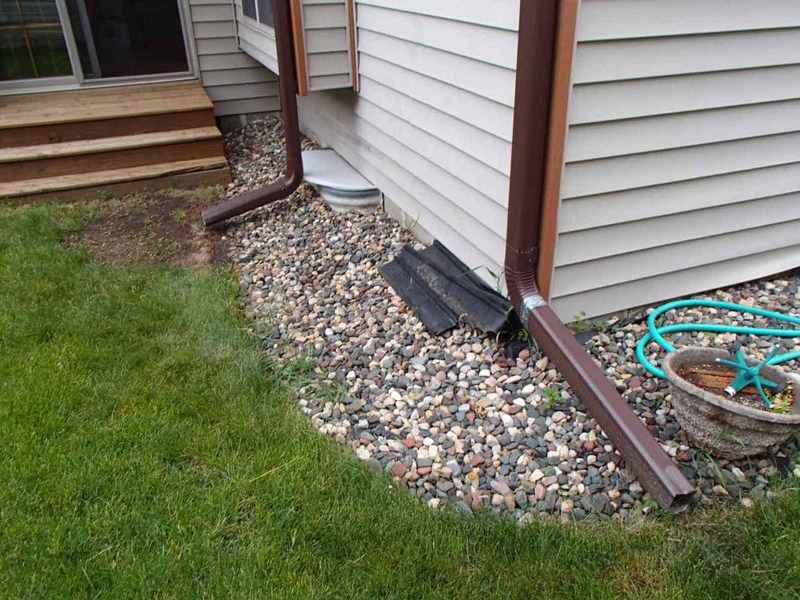 This St. Paul, MN home had a problem in the backyard near a window well. 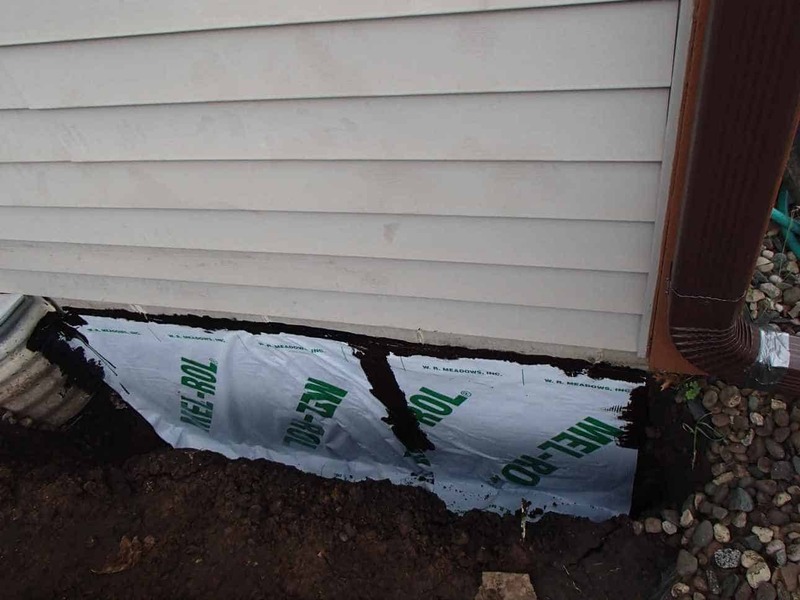 The leak caused by cracks in the foundation wall and a bad grade. We fixed the problem by removing the old landscape material and excavating along the foundation down to where the cracks were located. All the cracks were filled with mortar and the area was primed and ready for the next step. Sheet membrane was applied over the newly primed area to cover all cracks with a flexible and durable layer of protection. 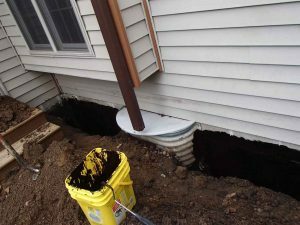 Backfill was reinstalled with a proper slope away from the problem areas. 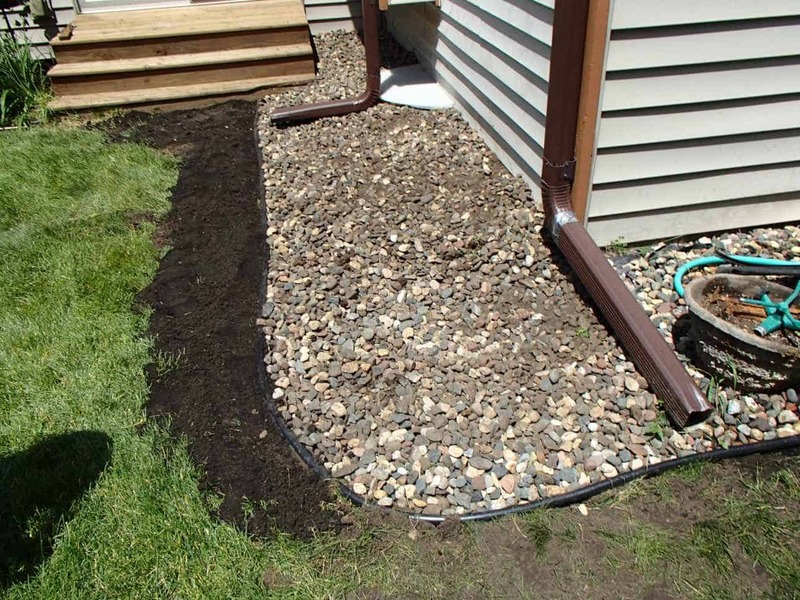 The landscape materials were reinstalled to finish our work. 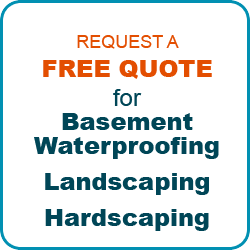 CALL St. Paul’s Best Basement Waterproofing Company NOW to set up a cost-free evaluation. Get a solution for your wet basement TODAY.